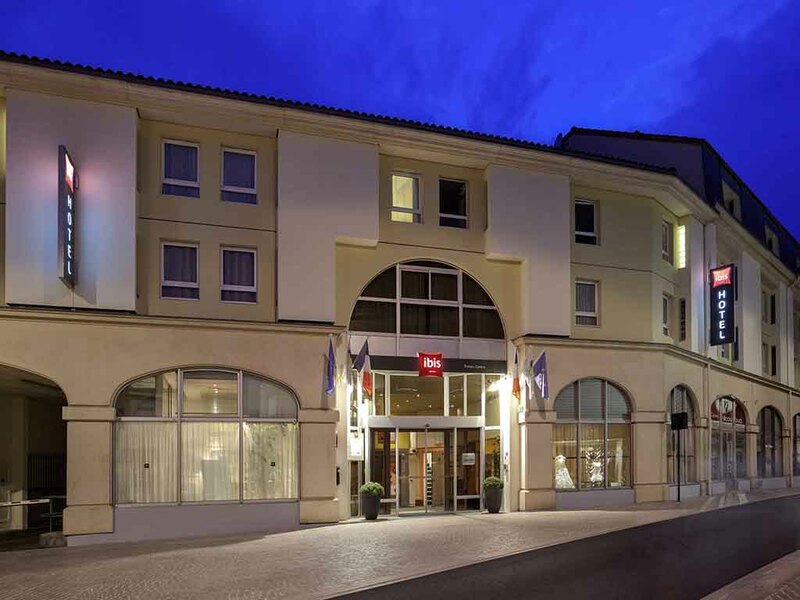 The Hotel ibis Poitiers Centre is located in the heart of Poitiers, city of art and history, 15 minutes from Futuroscope. The hotel has 75 air-conditioned rooms which are perfect for business and leisure trips. Facilities include a bar serving snacks 24 hours a day, free WIFI access, a meeting room and a private paying car park with 14 spaces (not reservable). There is a public car park less than 55 yds (50 m) from the hotel and several restaurants nearby. Just 10 mins from the Futuroscope theme park, Poitiers, the "city of a hundred bell towers", will amaze you. Take a stroll through a world rich in 2000 years of art and history. There are several restaurants nearby. Welcoming, modern and comfortable, with a cozy bed and functional bathroom: the Ibis room has everything you need to enjoy your stay.